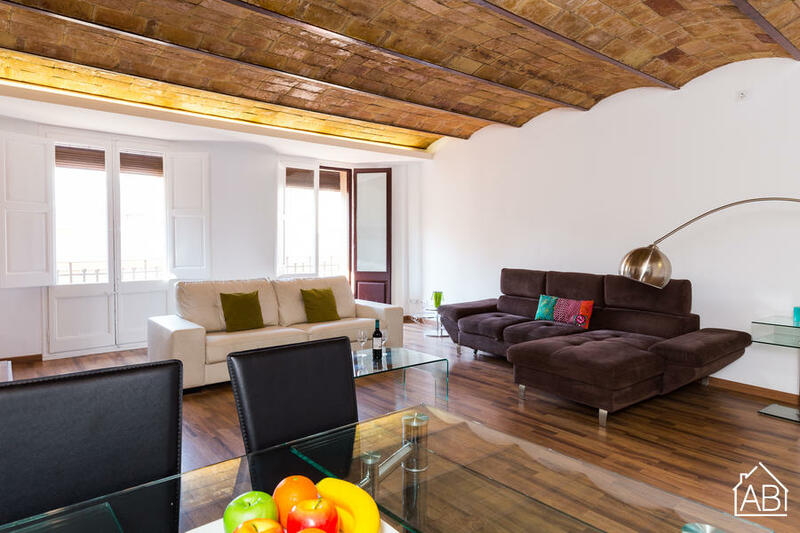 This chic apartment is situated in the Gothic Quarter, just 2 minutes’ walk from Plaça de Catalunya, Barcelona’s most central point. The apartment offers a balcony and free WiFi and is located just 240 metres from Catalunya metro/train station. The apartment sleeps up to three people across 2 bedrooms, with a double bed and a single bed. There is an elegant living and dining area with two sofas and dining table, complete with chairs. The living room also has two balconies, welcoming lots of natural light. The modern kitchen comes complete with a microwave, kettle, oven and toaster. It is located just 270m from the famous Las Ramblas and just 350m from Passeig de Gràcia, a grand avenue filled with shops and restaurants. This area is a great choice for those interested in local culture, living in the heart of the city centre, landmarks and shopping.